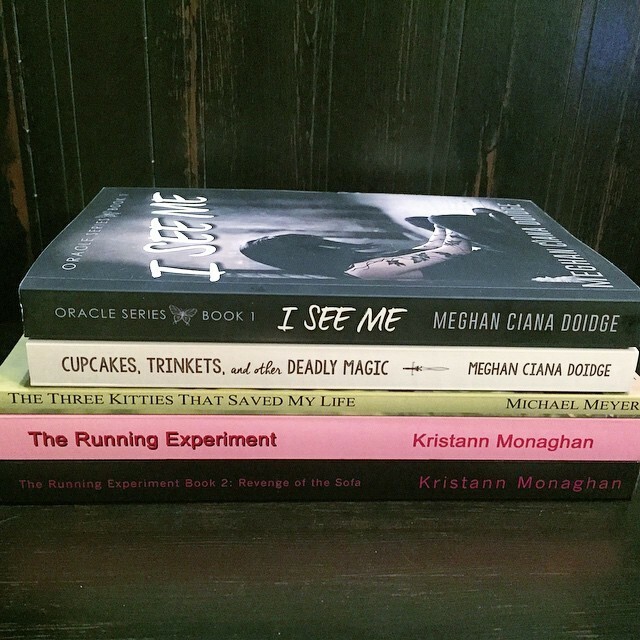 Remember how I talked about how I sent some of my books to a charity called The Bookworm Box (btw link is here if you hover and several other links in this post!)? 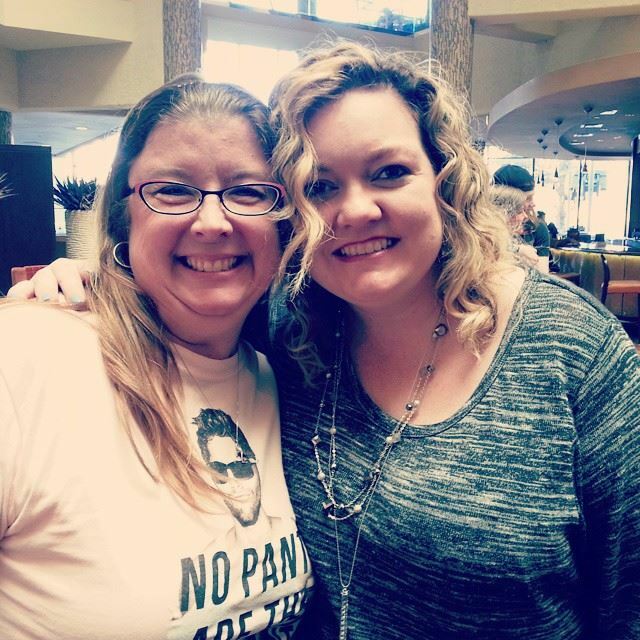 Well, every month, my absolute favorite author Colleen Hoover picks a charity or two to donate all the proceeds to…last month they raised over $11,000 that was donated. The boxes go on sale at a certain time and date and sell out fast!! Like within 10 minutes! Each box contains books from indie or best-selling authors and swag and other fun stuff. I lucked out and got myself one last month so I am excited to see it when it arrives this next week. Last month, however, I took a shot and wrote Colleen an email about a project I am involved in at work that needed funds. I am about to tell you about the power of an email. A few years ago, our Peds/Picu unit lost someone very dear to us. One of our techs Stephen died suddenly in his sleep from a heart attack. He was beloved on our floor…he absolutely loved his job and the kiddos loved him. Stephen was an avid quilter and the quilts he made were gorgeous. When staff had babies or got married, you can bet they got a special quilt that Stephen made for them. His quilts were treasures and brought lots of children comfort. When he died, his partner J and I tried to figure out what to do with the donations that were given in his memory to the unit. We finally decided to put the funds to a perfect use: quilts for every child that comes through our unit that they can take home and bring them comfort while they are sick. We partnered with a phenomenal organization Quilts for Kids ….they have volunteers who make quilts and they send them to hospitals like ours, we just pay shipping (which adds up to about $1-2 a quilt). Stephen’s Quilts for Kids was started with these funds and every child who came through our doors has gotten a quilt. These quilts are a source of comfort and the nurses take great care in picking out one for each kiddo. It is a program I am so proud of because it keep Stephen’s memory alive…each quilt is tagged with a card explaining about him and the program so every parent knows why they are getting one. 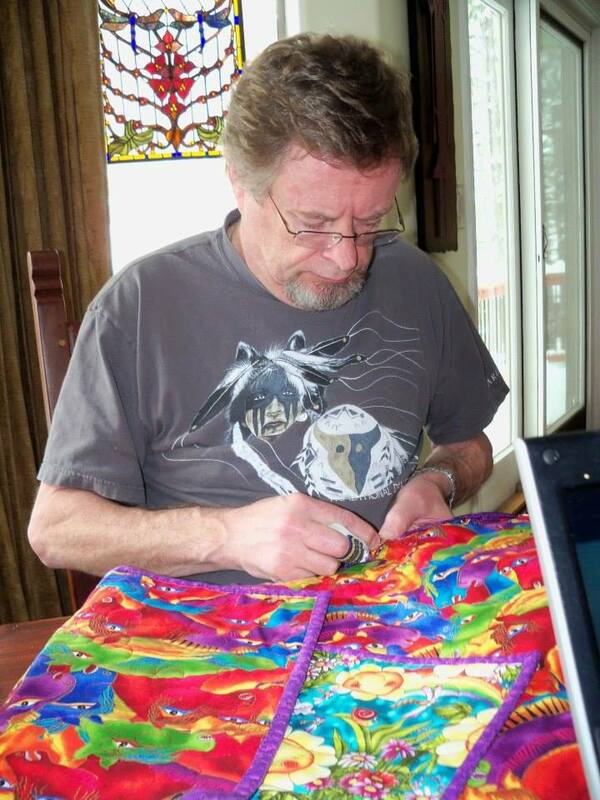 Stephen quilting the last quilt he made before he died. It was for one of our staff members who was having a baby. Miss you my friend. Recently, I realized that our funds were running low in our account to support this program and started brainstorming what to do to save it. It means so much to me, the kids, the staff and to Stephen’s partner J. It had to be saved! Knowing about The Bookworm Box, I took a shot. I wrote an email to Colleen Hoover, describing our program and pleaded that she make our small tiny little insignificant program a source of her donations. I wrote it after a night of working, so I am sure I rambled on and on and on without any commas, but I had to try right? A Fat Girl has to take a chance! I hit send and never heard a word back. Ok….well I tried. For reals. I cannot even begin to say how grateful I am that Colleen read my email and decided to help us. I just can’t even. More naked screaming might have occurred and I might have even forgotten to shower I was so excited. I also might have peed a little in excitement…thank goodness I have wood floors. So anyways…try and get your hands on a Bookworm Box this Sunday to help support us…I know I will! If you can’t and want to make a donation anyways then go to the link here for theFlagstaff Medical Center Foundation and make sure you designate your donation for Stephen Findley Quilts for Kids. This is an amazing opportunity for our kiddos that we serve. I am so glad I took a chance. Words have power. Emails can change lives. This is why Colleen is my favorite author EVER. 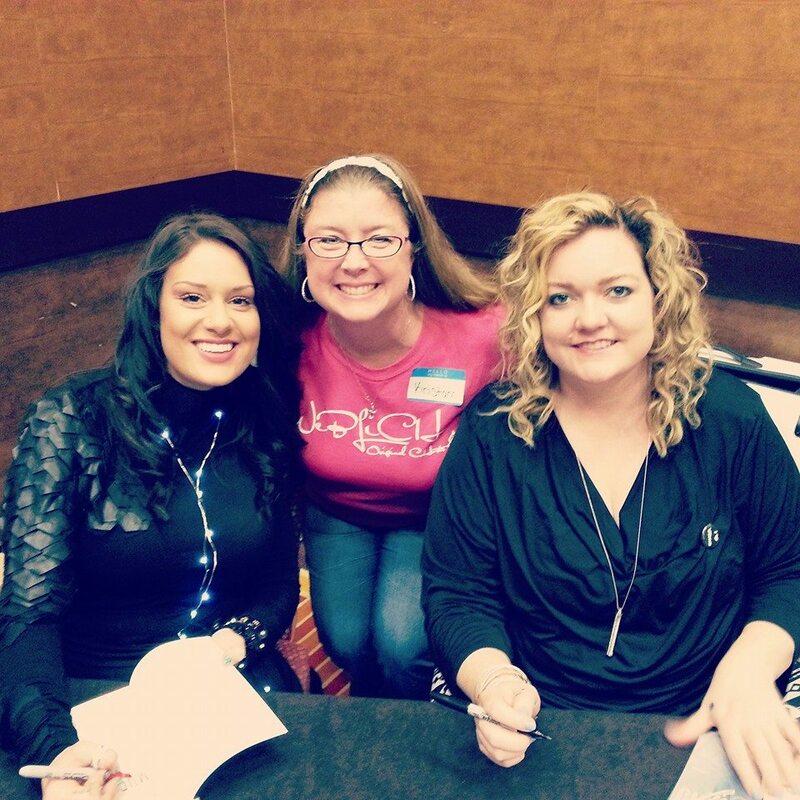 Colleen Hoover…I want to be you when I grow up. Seriously. And from the bottom of my heart…THANK YOU! Now excuse me, but my eyes are leaking and I need to maybe go shower since I forgot that earlier. Oh yeah…and maybe clean up a puddle of pee. We all feel the need to change things periodically like our hair, our wardrobe or our furniture. So, in that spirit, you will see some changes coming shortly to the blog site! I decided it was time to be a growned up author and update things around here. I got inspired at Austin Book Fest being around all those real authors and started looking at all the fun swag they offer readers. I also started looking around at their different websites to get ideas. And ideas they are coming! 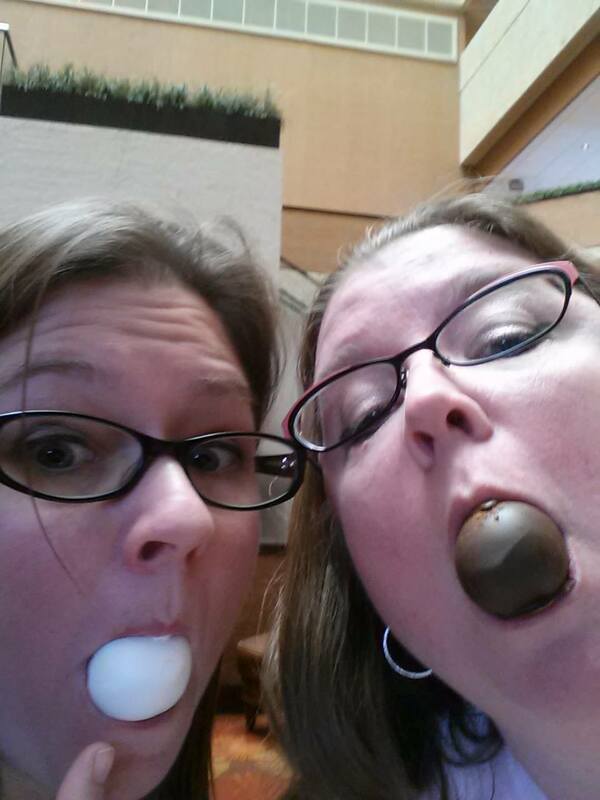 First thing first…the blog is NOT going away. I am just giving it a fresh look. You will notice two things right away: the web address has changed and the name has changed. No worries if you use the old web address cuz it will redirect you here which, by the way, is the same site with a different name! The new web address is so easy to remember: thefatgirlrunning.com! Go ahead. Try it out…I will wait. Oh look! It brought you right back here! Magic! This will make you sharing the blog with all your friends and family so easy. I mean, really it is much easier to remember!! It is even easier for me to write down and tell my own people about. You will also notice the blog name changed from the running experiment to The Fat Girl Running. It is a little sad to get rid of this name, but let’s be honest. This blog really has not been about a running experiment for a long time. It really is just an experiment with my life that I share with you. It is with a tiny bit of sadness that the original name I started with on my journey is changing, but I too must admit it has changed and move on. So I am trying to keep everything easy to remember and The Fat Girl Running is just easy to remember…plus it is how I am known to everyone. Sharing just became easier than ever to do with all your peeps so get on it already! A few more changes will be coming around soonish….the look of the blog site will soon change and one exciting thing I am going to add is a store! Yes, I am gonna cater to your online shopping needs with all things Fat Girl you could possibly desire. I am planning some exciting merchandise so be on the lookout! Of course, signed books will be available!! Yahoo! No dead bodies to purchase, but maybe if you are good, I will put some Skittles in there. So see…change isn’t all bad or hard. I am super excited by this new change and cannot wait to show it all to you. One more thing I wanted to share with you…I recently had the great opportunity to participate in a two great charity events. The author I idolize, Colleen Hoover, started a business that donates all the profits to charity called The Bookworm Box and she is actually opening up a bookstore in Sulpher Springs, TX where all the books are signed and all the proceeds are donated to charity. What a fantastic idea! Colleen is a genius! She asked for authors to donate signed books and 4 of my little beauties are currently on their way to Texas to be used in her store or part of her book box service…whichever she decides. 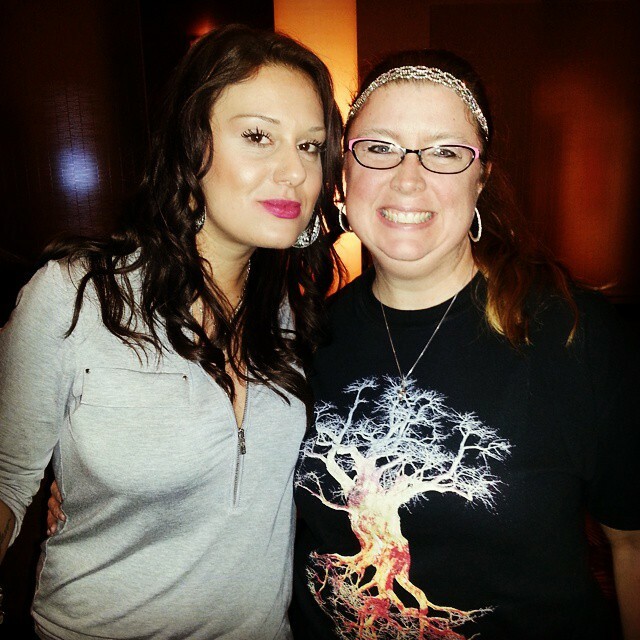 I highly encourage you to check out her website. The second charity event is an online book auction on Facebook called 4 Paws for Piper to raise money to get a service dog for a special little girl with epilepsy. You really should check out this auction that will be held in May…so many HUGE authors are offering up signed copies of their books to be bid on and mine are included! I realize I won’t bring in as much money as Colleen Hoover or Tarryn Fisher, but I am there and you can bid on my books!! Please go check out this auction…it is for a great cause! Change is good….hard even for me but good. And giving is even better.